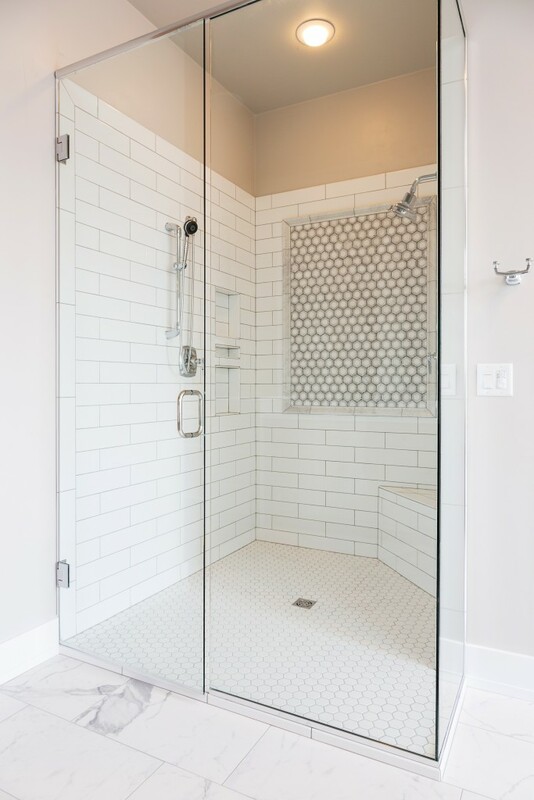 There are many reasons why you should install a glass shower door, but here are a few specific reasons you should put this beautiful accent piece at the top of your dream home list. Don’t settle for your typical shower rod and curtain, as H.J. 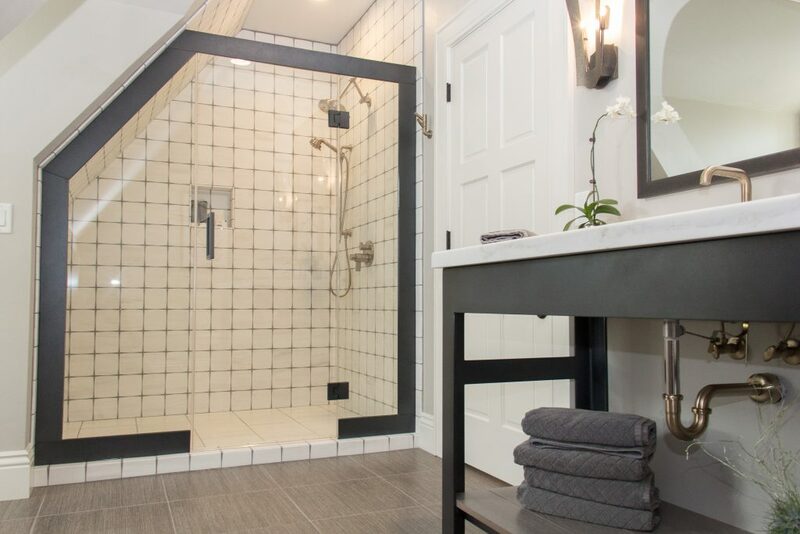 Martin and Son can provide you with a custom shower by offering endless options to create something truly unique in your home. For example, this shower above went from awkward to beautiful with this simple custom shower door. Think about how much time you spend in your bathroom every day. It’s quite a bit, isn’t it? So why not make your daily routine more enjoyable by adding some elegance to your bathroom? Investing in a glass shower door is also a perfect way to add style and value to your home. If you are thinking about remodeling your bathroom, you can easily spice things up with a modern and clean frameless glass shower door. Frameless shower doors are becoming increasingly popular because of the openness and sense of space that it creates, as you can see in the next picture. Bringing your vision and needs together is what H.J. Martin and Son strives for. 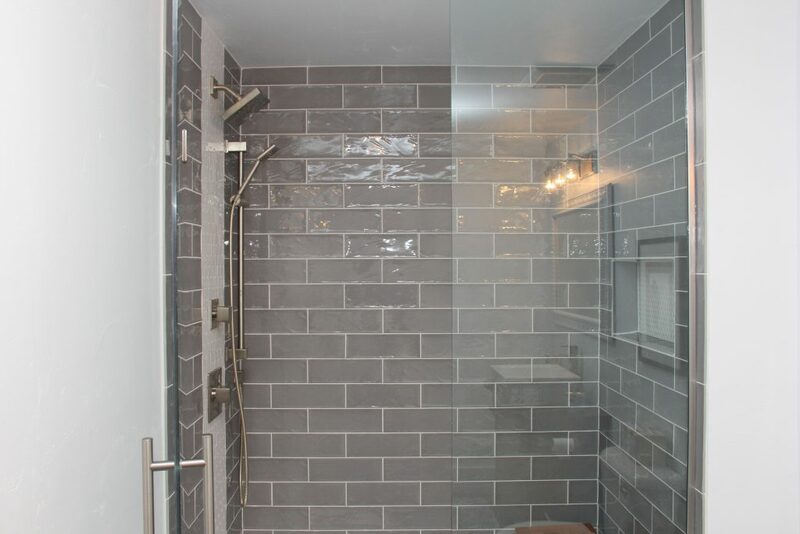 We can help you find stunning tile and showcase it with a glass shower door. H.J. Martin and Son can be your one source to measure, design, order, and install your custom shower. With your ideas in mind, we can help you build a completed shower from start to finish. Glass shower doors are constructed of tempered or laminated glass allowing years of worry-free durability and minimal maintenance. At H.J. Martin and Son, we put as much focus on safety as we do aesthetics. With our dedicated shower door specialist on staff and the skills of our highly trained installation team, we make sure that every door we design is structurally sound. TIP: We recommend cleaning your shower door using a squeegee after the last usage of the day. (We provide one to all of our glass shower door clients for FREE!) For routine maintenance, simply use a clean soft cloth with non-abrasive pH level 7 or 8 cleaner. For more information about glass shower doors by H.J. Martin and Son, visit this page. By visiting our showrooms in Green Bay and the Fox Valley, you can see fully installed showers with glass, hardware and finish options. Our designers at any of our locations can help you to make a statement while improving the value of your new home or remodel.